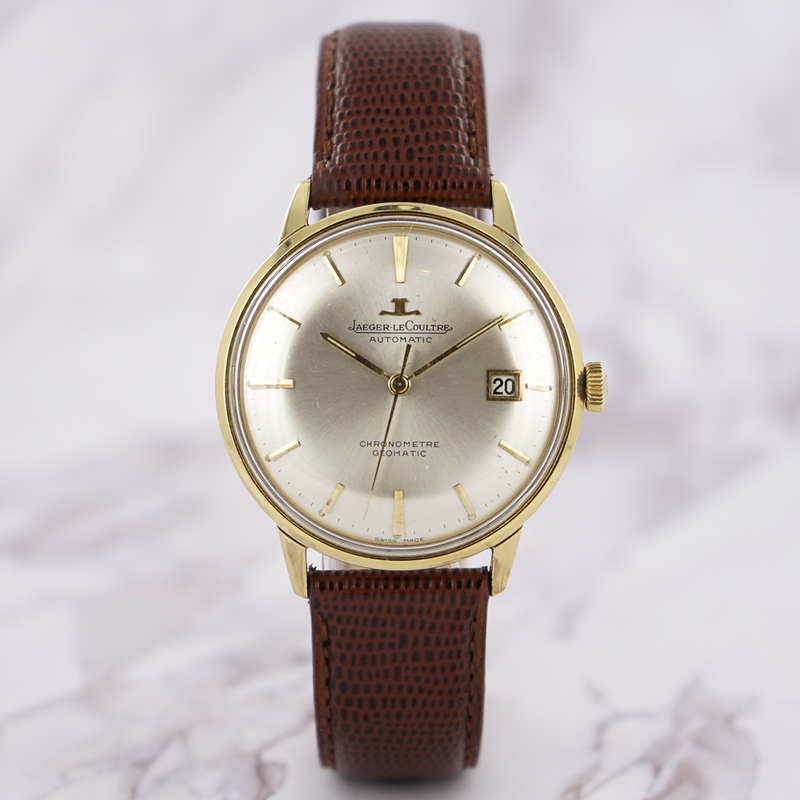 The Geomatic is a beautiful and rare classic produced by Jaeger-Lecoultre in the 60s. It succeds to the mythical Geophysic. The two particularities of this model are its chronometre certification and the hack-system (or stop-second) feature, that allows to set the time to the nearest second. Produced between 1962 and 1968, this model is hard to find, especially in this condition. With a diameter of 36mm, it is the perfect dress watch. In a few words, it’s one of the nicest watches ever produced by Jaeger-Lecoultre. Dial and hands are perfect. Case is in excellent condition also, with some very light scratches on the back and a light dent on the lower right lug. Movement is running perfectly. The watch comes on a new leather strap.